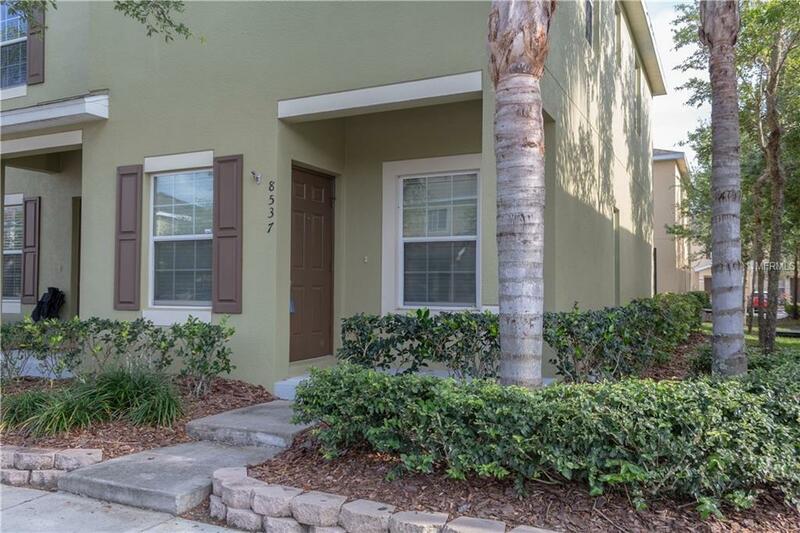 Don't miss out on this rare opportunity to own an end-unit in this quiet community. 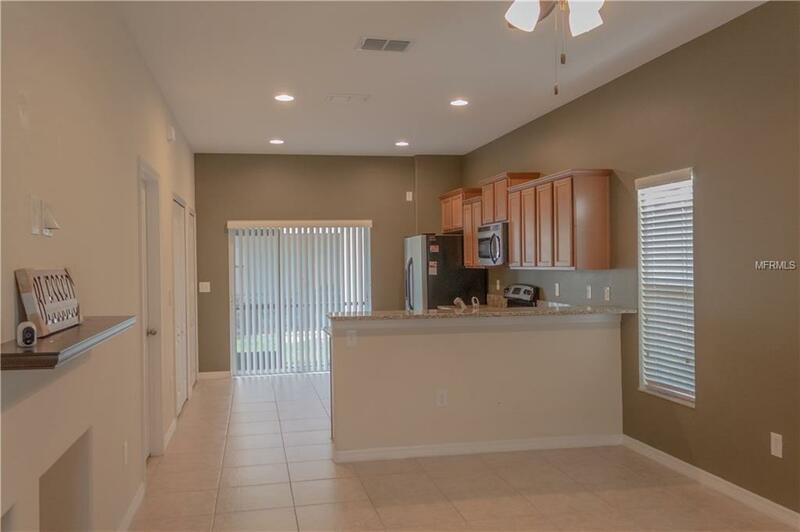 This property boasts high ceilings and lots of natural light everywhere. The kitchen has recessed lighting as well as lots of granite countertops. The spacious breakfast bar can seat three for those quick morning meals. Or if you want to slow down, the screened lanai is perfect for a small bistro set to enjoy that morning or evening beverage. The large master bedroom has two closets and the en-suite has a glass shower and granite sink. The second bedroom is spacious and has a large closet. The second bedroom also has it's own private bathroom with shower/tub and granite sink. 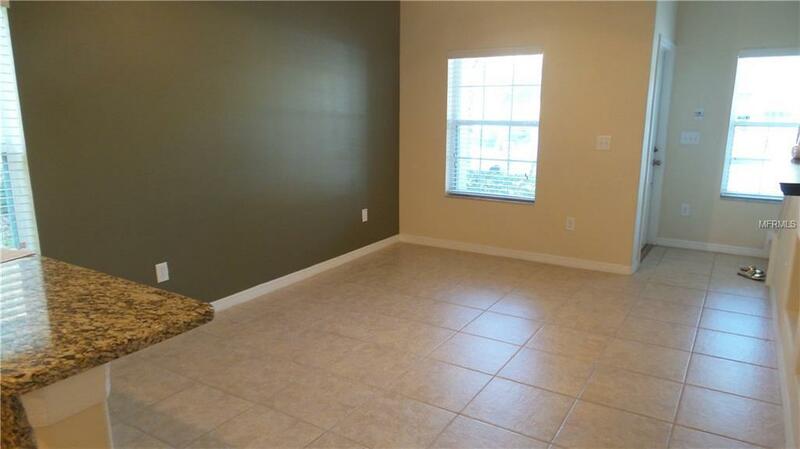 All ceiling fans and window treatments remain with the property. Ownership comes with two reserved parking spaces, use of the community clubhouse, 2 separate pools and a fitness center. 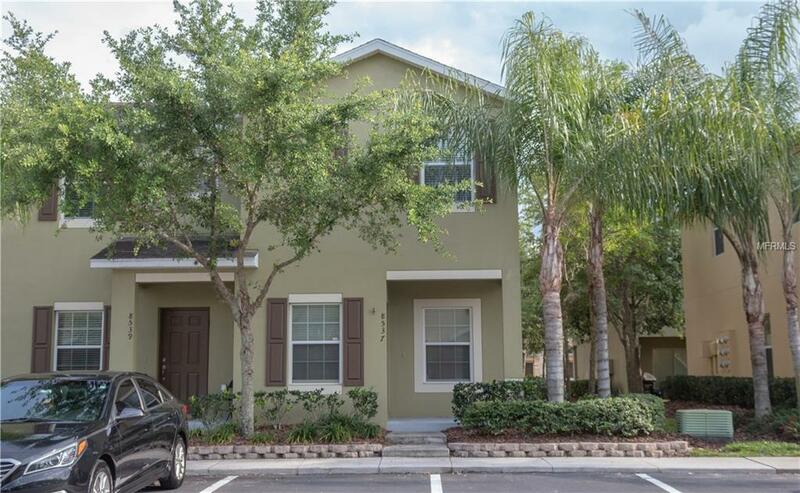 The property is conveniently located near the Shoppes of Wiregrass and Tampa Bay Premium Outlets. Don't miss this one. Additional Lease Restrictions Must Be Approved By The Hoa. Listing provided courtesy of Johanson & Associates, Inc..